Number of Shares: 258 M.
INIX Technologies Holdings Berhad, an information communication technology company, focuses on the development and sale of integrated intelligent home systems in Malaysia, Australia, Africa, and Europe, as well as in other countries in Asia. 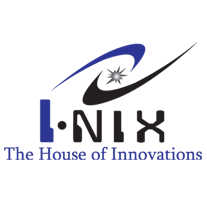 The company, through its subsidiary, Inix Technologies Sdn. Bhd., develops and sells integrated intelligent wireless security, automation, and closed-circuit television surveillance systems for home, as well as for business users. Its systems are sold under SecureSmith brand, and focus on the intelligent home and building automation solutions. The company was incorporated in 2004 and is headquartered in Subang Jaya, Malaysia.